By the time I was in my late 30s, I had been playing guitar and bass for about 25 years. I hadn’t been in a band since college, and my playing was mostly in our family room as records played(1) on our stereo, and I played along. 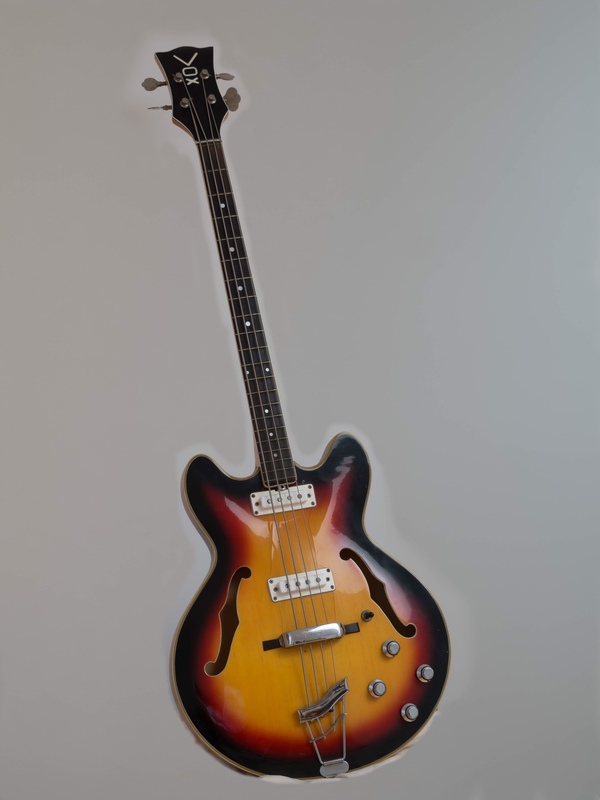 My instruments were the same as from my youth: the Gibson B-25N and Vox Cougar bass. And the bass wasn’t even in my house, but was living with my brother along with the Ampeg amplifier. For my birthday that year I got a surprise from my wonderful wife: a brand spanking new electric guitar. I had never owned an electric guitar. 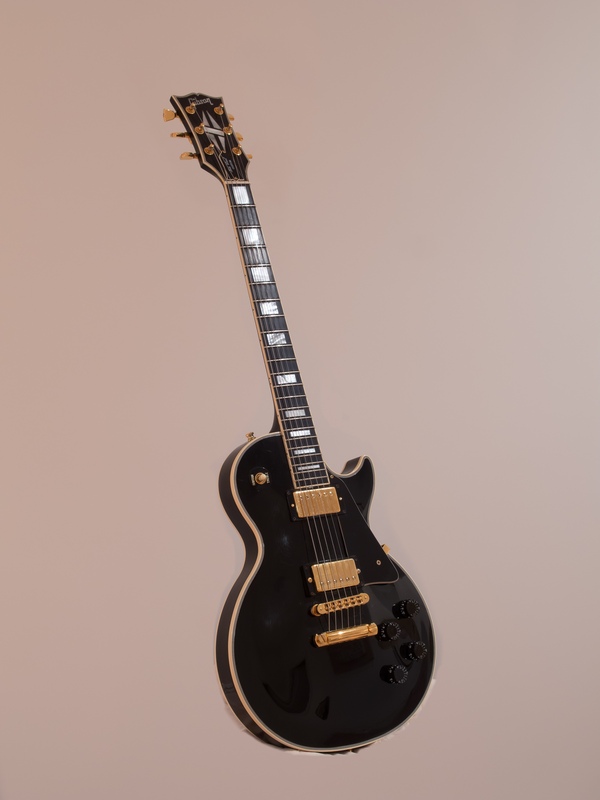 And this was no pedestrian electric guitar – it was a Les Paul Custom, the king of rock guitars, favored by Jimmy Page and countless other musicians. Black with gold metal work. It was (and still is) simply gorgeous. A problem was that I didn’t have a guitar amp. I did have my old bass amp, but that was at my brothers. And in any event, it was old, underpowered, very heavy and had no effects. So I went down to Manny’s Music on 48 St. and bought a tiny Peavy solid state(2) amp for $89. It was more than loud enough to play in the family room, and I still wasn’t playing with any other human beings. Now when I played along with my LPs, I could select the appropriate instrument – the acoustic guitar or the electric guitar – depending on which hero I imagined I was. I suspect that my wife was sometimes not so pleased with her gift, as the Les Paul was a bit raucous. Let’s last forward about 5 years. I went to a party being given by a colleague of mine from work. One of my friends brought with him an acoustic guitar he had just bought, a brand new Taylor. Taylor was a young brand in California which I had never heard of. BobTaylor, the founder, was in the process of revolutionizing high-end guitar manufacture by applying sophisticated manufacturing techniques – CNC milling machines, etc. – where they were useful, and retaining the old style of hand work where it made sense. This guitar was amazing, much better than anything I had ever played. It was also beautifully made – the woods, trim and fit and finish were terrific. I lamented to someone – perhaps my friend, perhaps myself – that I wished I could have such a nice guitar. I was still playing my 25+ year old Gibson B-25, which had never been anything more than a starter model at the bottom of their line. It then dawned on me that I could actually have such a nice guitar – I had a great job, and could afford such a treat. The next day I went down to Rudy’s Music on 48 St. I tried about a dozen guitars, most of them models from Taylor. And went home with a Taylor Dan Crary. I think it was the ease at which I simply walked into Rudy’s and walked out with this wonderful instrument that proved my downfall. After all, this was the first guitar I had bought since I was 15, when it required saving all of my summer job money to buy a cheap instrument. After this experience, I started thinking about guitars differently. Rather than “which guitar should I have as my single choice”, it became “which guitar satisfies some unmet need want”. Since then, I’ve found one about once a year. (1) I mean actual records, LPs, round vinyl platters that were played on a turntable. We skipped 8 tracks and were late to cassetttes and CDs. (2) “Solid state” is a marketing term invented when “transistor” became unalterably associated with cheap, portable AM radios with tinny sound. As The Bassman, one would expect that I have a bass guitar. And indeed I do. In fact, I have three of them, none of which are very special. I also have 26 guitars, some of which are quite special. This addiction collection started pretty late in life. 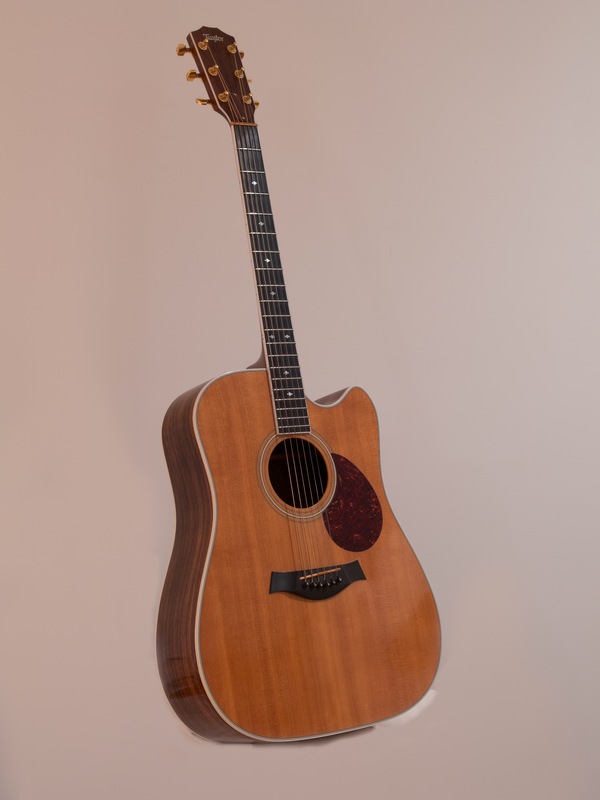 In the beginning – that is, when I was 13 and my grandmother bought me a dime-store guitar for $20 – I was about six months later than my friends in learning to play. This was in the 60s, and the Beatles had revolutionized everything about music. They wrote their own songs, played their own instruments, and had great hair. Every teenage boy wanted to play guitar, except for the few that decided that banging on drums was more their style. I was no exception. I thought it would help me make friends, especially friends who happened to be impressionable girls. I also started wearing my hair a little longer, which created no end of strife between me and my father. After making bad sounds on guitar for a few months, I realized that there was a surfeit of budding guitarists in the neighborhood, all of whom were more experienced than me, all of whom played better than me, and all of whom were much more likely to get hooked into a band than me. I also realized that there was a thing called bass guitar which was (1) interesting, (2) what Paul McCartney played, and (3) not nearly as common as guitar. Showing an early eye for underserved markets, I went and got me a bass guitar and a bass guitar amplifier, and was promptly invited to join a band. This bass guitar was of the same quality as my $20 guitar, although I probably spent $50 or $60 on it. They were both terrible instruments. The amplifier, through sheer happenstance, was an Ampeg SB-12 fliptop, which has now turned into a collectable classic. Who knew? I made some money one summer and decided to upgrade my kit. The guitar was replaced by a Gibson B-25N, a student model that I could afford. Not a great guitar, but a playable guitar. The strings stayed in tune, they were close enough to the fretboard that one could actually make real chords, and the sound that came out – although thin – was unmistakably that of an acoustic guitar. I don’t recall what happened to the dime store guitar. Did I sell it? Did I give it away? The answer is lost to time. For the bass, I really wanted a Fender. Sadly, my funds didn’t support that, so I got a Vox Cougar bass. Vox was an English company best known for the amplifiers that the Beatles and other British Invasion bands used, and had ventured into guitars and basses by subcontracting the manufacture to a variety of providers. This resulted in some unusual designs. In my case, the Cougar bass was a knockoff of the Gibson EB-2 bass with some modifications. The pickups were underpowered, it had a metal nut, and it really couldn’t be tuned properly. But it was miles better than the piece of garbage it replaced. Unlike the fate of the first acoustic guitar, I remember clearly what happened to the cheap bass. I scraped off whatever logo was on the headstock and painted “VOX” on it. This fooled no one, of course. I then advertised it for sale and sold it to an eager kid who was a bit younger than me. This was the last guitar I have ever sold. These two instruments – the Gibson acoustic guitar, and the Vox bass guitar – went through high school with me, then off to college and graduate school, and have stayed with me for about 50 years. 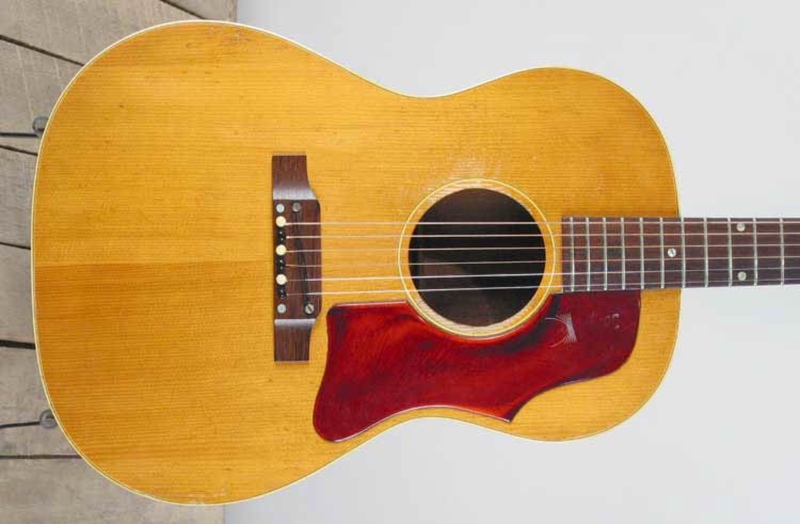 That may be the cheap way to buy a vintage instrument: buy it new, and then wait. They were my only instruments for almost 25 years. Then another gift, and a party, changed the world.